This great pipe from Atomic is sure to make you stand out amongst your friends and what is more, it is a great smoke too, particularly when you load it with your favourite herbal mixture or tobacco. 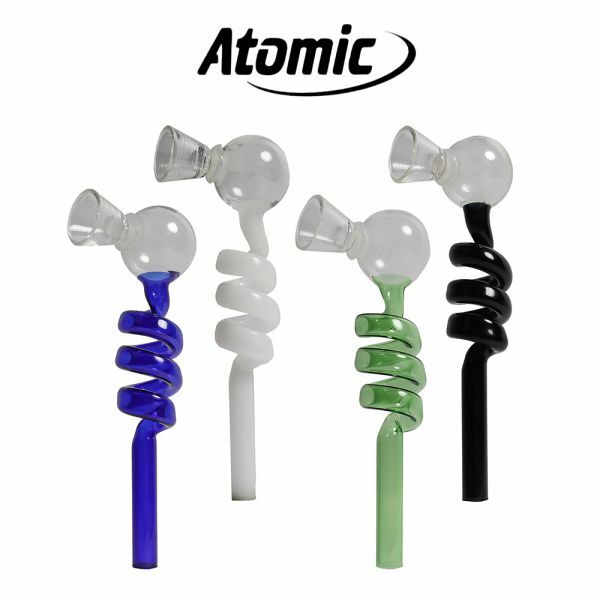 The Atomic Glass Twist Pipe offers great value for money, it is very functional and you would not find it difficult to keep clean and continue to provide a sweet smoke. This is made possible with the easily detachable bowl; we have also found that the twisted stem will easily accommodate a standard pipe cleaner. Connoisseurs will fully appreciate its quality, but so too would someone who is a novice at the pleasure of pipe smoking, we cannot keep it all to ourselves can we? Offered by us at just £4.99 it is very affordable to have more than one of the four vibrant colours of Black, White, Blue and Green. Or why not ask “Santa” to put one into your Christmas stocking, or as a gift for a friend? The 2-Way Tantra Pipe is the best of both worlds; use it as a standard pipe or twist it around as a chillum, the choice is yours. This beautifully hand carved pipe comes complete with a smooth soapstone bowl and all you have to do is add a pipe screen, your chosen mix and you’re ready to go! 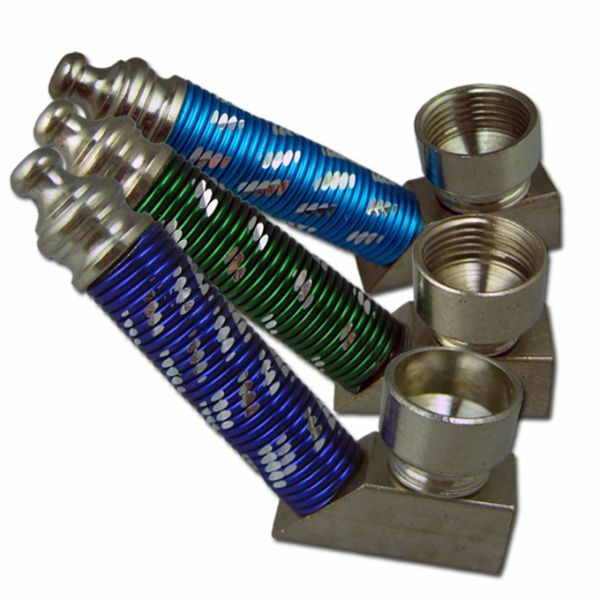 To use, simply unscrew the end cap and pipe bowl and swap them over, easy. The 2-Way Tantra Pipe measures 142mm long and 52mm high in pipe mode, and 161mm long by 34mm high when in chillum mode. The 2-Way Tantra pipe is available now for just £6.99, so what are you waiting for? Experience the best of both world’s today. For pipe screens to go with this pipe, click here. This water pipe is “cool” in every sense of the word, cool colours from which you can choose, we offer, blue, green or amber, and the Dr Hoffman Water Cooled Pipe offer by us of only £14.99 means that you could afford to buy all three and choose a colour to suit the mood that you are in when deciding on a cool smoke that this pipe is certain to deliver. Using simple, but well-tried techniques, the smoke from your favourite tobacco or herbal mixture, is drawn through a helical pipe, which is in fully submerged in water, the result is a cool smoke delivered at the mouthpiece, a heat exchanger in fact. The pipe is brought to you, through us, directly from India and is constructed using borosilicate glass, and for ease of cleaning, the pipe is made in two parts, a detachable bowl and a main body! To operate is simplicity, just fill with water and pack the bowl with your favourite mixture and light up then you are in for the “coolest” of hits. There are many ways in which people choose to enjoy a smoke but, the trusty pipe has stood the test of time. History suggests that the tradition of pipe smoking was around and practiced by Native Americans long before it was introduced into European cultures in the 1500’s. Although it is disputed, school history had us all believe it was Sir Walter Raleigh brought it to England, along with the humble potato, from Virginia in 1586, can you recall the picture of him peacefully smoking his pipe when his servant, who believed he was on fire, threw a bucket of water over him! Pipes here in the UK have been made from a variety of materials including: briar, clay, ceramic, corncob, glass, meerschaum, metal, gourd, stone, wood, the classic English pipe was made from various combinations, most notably was the Calabash, or “Sherlock Holmes”. 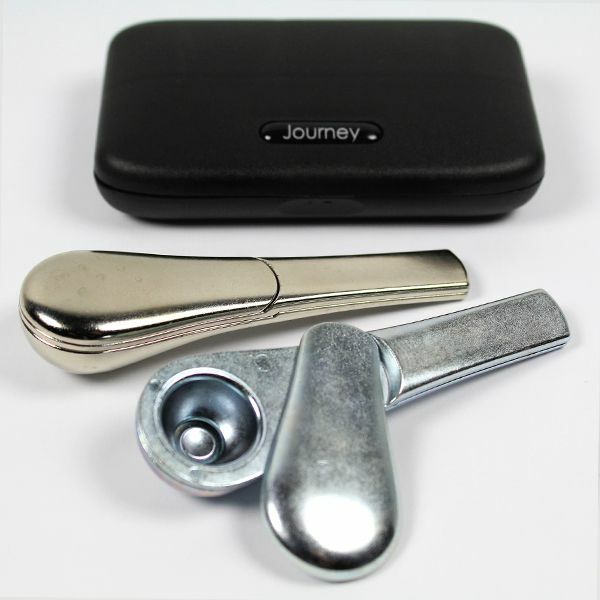 To get the very best smoke, pipes have to be kept clean, this can be tiresome for some people, they will then be delighted therefore with the Magnetic Journey Pipe V3 which is screen free, easy to clean and very portable, making it ideal for all occasions including travel. Because it has no screen, buying replacement screens is not necessary, it is very easy to disassemble and can be cleaned after use with a wipe from an alcohol wipe; in just 30 seconds, you’ll have a fresh, clean pipe. The Magnetic Journey Pipe V3 is assembled in three parts and these are held together with two strong magnets in the centre of the pipe. It is heat resistant and therefore stays cool to the touch; it has a locking lid which means that when you have had a satisfying smoke, just snap the lid down and this puts out the tobacco or herbal mixture that has been smoked. We offer the Magnetic Journey Pipe in two distinctive colours, “Nickel and Dime, or Passiv-8” and we are giving a discount of 14% of the recommended price, making our price just £29.99. These pipes are not only beautiful to look at, but they deliver a cool smoke, and are incredibly simple to use and easy to clean. The main thing that most of us want when lighting up and enjoying a pipe of tobacco or herbs, is a cool clean smoke, the Screen Queen Deluxe Screenless Pipe is designed to provide just that. This pipe is certainly one of the most reliable, easy to use, and easy to clean and generally provides a great smoke, according to the feedback from users have said when they have reported back to us. The removable bottom of the bowl acts as a screen or gauze, which means that no additional screen is needed. Removing the screw in plug at that bottom of the bowl ensures that the user can clean it with ease and it also means that when in use provides good airflow for the perfect burn, as it helps keeps ashes and plant material from obstructing the airway. From around the time when pipes first came upon the scene, one thing that smokers preferred was a long stem; this meant that the smoke was cooled prior to reaching them; this as we know ensures a pleasurable smoke. This is something the Screen Queen Deluxe offers with its long stem, cooling the smoke as well as catching a lot of the tar that you would otherwise inhale, again easily cleaned using a long pipe cleaner. Offered in a choice of colours, blue, bronze, green, red black or silver and presented in its own hinged box, this is a pipe for the connoisseur that guarantees: No screen or gauze needed, sleek in appearance, easy to take apart, clean and reassemble, with a guaranteed even burn. Put simply this pipe is amazing. This silicone pipe is a recent addition to our collection of pipes and smoking devices and we are quite excited about, we feel sure that judging from responses we have had, you are too. 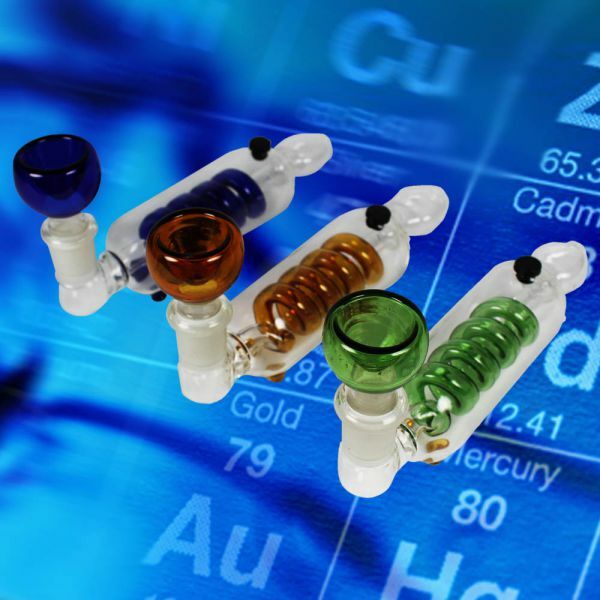 We have been used to using borosilicate glass pipes for many years and the smooth experience of using them is not in question, but how does the silicone pipe compare? If you are unsure about silicone, the first thing to say is that it’s similar in shape to its glass cousins though fashioned from medical grade silicone. Silicone is also lighter than glass, which makes it perfect for taking the pipe out and about, it is also a fairly easy to clean as simple as a quick wipe down with an alcohol wipe and as we all know a a clean pipe is a happy pipe. The Atomic Silicone Pipe is both fun and durable, it is available form us in a selection of colours, both striped as well as solid. It features a removable spill-proof silicone lid; these simple, pocket-size pipes also include a built-in 15cm screen. This pipe is really an “atomic” pocket sized beauty and weighs in at just 12 grams packing that right amount of weight to satisfy your needs; pocket sized at less than 10 mm in length, proving again that size simply does not matter! Choose your Atomic Silicone Pipe from either solid coloured, or striped colour, or as they are offered at only £4.99, why not choose one of each? Here is a pipe that will get all your friends talking, this variation on the Ribbed Mirror Pipe takes it one step further, and it is a very practical smoking piece. As a smoker you will find that it will sit perfectly on a flat surface, useful when you need to collect another beer from the fridge, or perhaps just relaxing between smokes and it will not get knocked over either. Smoking a pipe is satisfying as we all know; Albert Einstein once remarked that pipe smoking “contributed to a somewhat calm and objective judgment in all human affairs.” Whether the observation is true or not, pipe smoking has had many other famous devotees, among them Franklin D. Roosevelt, Mark Twain, and the fictional Sherlock Homes, who often disappeared into a haze of pipe smoke while solving his cases. Of course we cannot claim that any of these eminent persons have smoked an Upright Mirror Pipe, but had this pipe been around then, then they probably would. We strongly recommend that you use a screen for this pipe, we offer a brass made screen which is flexible, and so it can be moulded into the required shape and size for your pipe bowl. Changing your screens for pipes, bongs and water pipes on a regular basis will ensure maximum filtering for healthier smoking. The pipe is made in India and so it has that wonderful rustic, handmade feel and it is offered by us at just £5.99 or two for £9.99 there is a choice of black, green, mauve or royal blue. 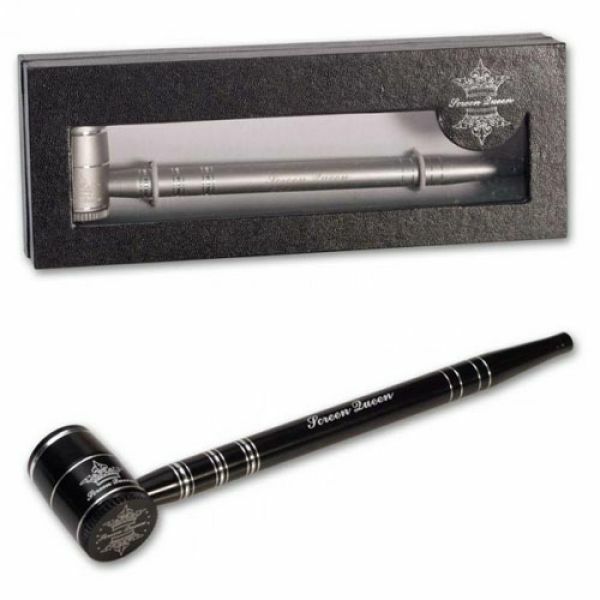 Sherlock Holmes had a wonderful selection of pipes which he smoked, many of which have been seen on the BBC television series; naturally this has fuelled a renewed interest in the famous style. 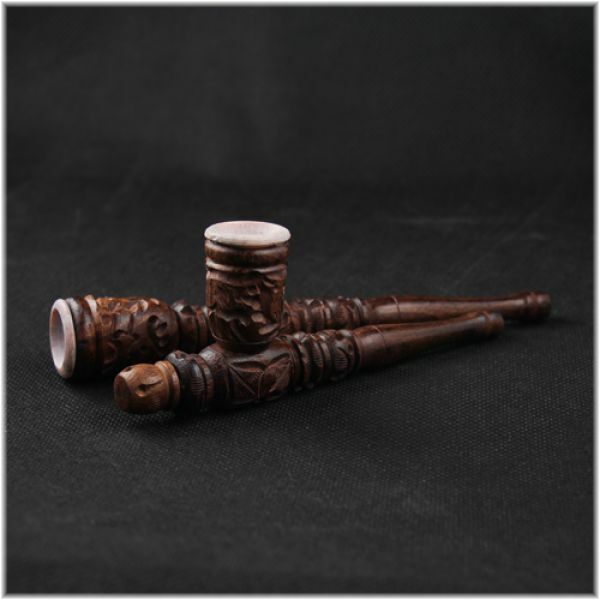 We feature a number of these on our web pages, all of which are manufactured by Raw, handmade from uncoated, natural eco-wood called Brown Knotwood from the Pearl Valley of Fujian china. From our selection of Sherlock style, we find that the most popular appears to be the Raw Natural Pipe, a beautiful handmade example. The bowl is a very generous ½ inches in width, holding enough of your favourite tobacco to satisfy the most serious of smokers. Because this pipe is made from natural wood, it will require to be “broken in” and the suggestion from Raw themselves, is that the best way to do this is to use either honey or you could use a pipe sweetener, this has the effect of coating the bowl and soon the wood will become accustomed to the heat of glowing tobacco, and soon you will be able to build up a good coating of carbon. With any smoking device, it is essential that the stem and mouthpiece are kept scrupulously clean and as an aid the plastic mouthpiece, which is approximately 5.5 inches in length, which is easy to remove to clean, the stem is pre-loaded with a Corleone smoking filter. 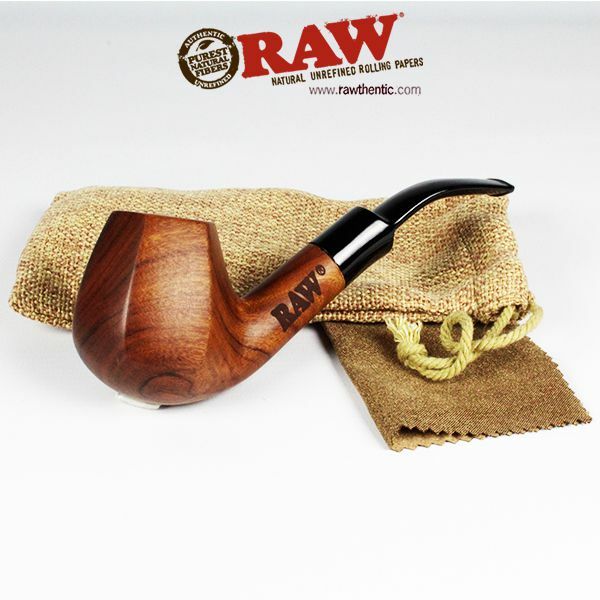 Supplied along with the Raw Natural Pipe, we include a neat canvas carrying pouch and a micro-fibre cleaning cloth. The perfect Christmas, or any time gift. Smoking the “peace pipe” was usually depicted in American movies as the Captain of the gallant U.S. Cavalry rode in to rescue the beleaguered settlers, just in the nick of time, to sit with the Chief of the tribe to agree safe passage for the battered waggon train. The beautiful Chanupa Coloured Hammer Bubbler could well have been passed around at the “pow wow” as the one we feature is named after the sacred pipe of the Lakota tribe. The Lakota are a tribe who live on the northern plains of North America. They are closely related by culture, language, and history to other tribes who together are often referred to as ‘Sioux’. The pipe is a beautiful piece of work and certainly can be described as a work of art in glass, aesthetically mind blowing. However it is not just something that is made as an ornament, although it will sit perfectly on your table and be admired when not in use. The pipe has been designed to hold a small amount of water in the bowl, which will cool the smoke as well as filtering it before it reaches your mouth. The 10 cm pipe is decorated with red and white swirled glass and the background gives an appearance of a night time sky filled with stars overlooking the prairie. All the Chapuna Coloured Hammer Bubbler pipes are handmade and therefore the colours as well as the designs on them will vary from pipe to pipe. Wow, well you asked for it and its back, the revolutionary Magnetic Journey Pipe gives you a cool smoke, stays cool to the touch, and has a permanent screen-less filter. Very simple to load with your favourite tobacco or herbal mixture, light up and close the lid, no spills and what is more it will not clog and is remarkable easy to clean. Simply open up and wipe clean with a damp tissue paper, then snap it back together for your next cool smoke. This really is a revolutionary smoking device, without the use of screens means that you never have to replace screens or ever buy them, naturally leaving more time to enjoy your cool clean bacteria free smoke. 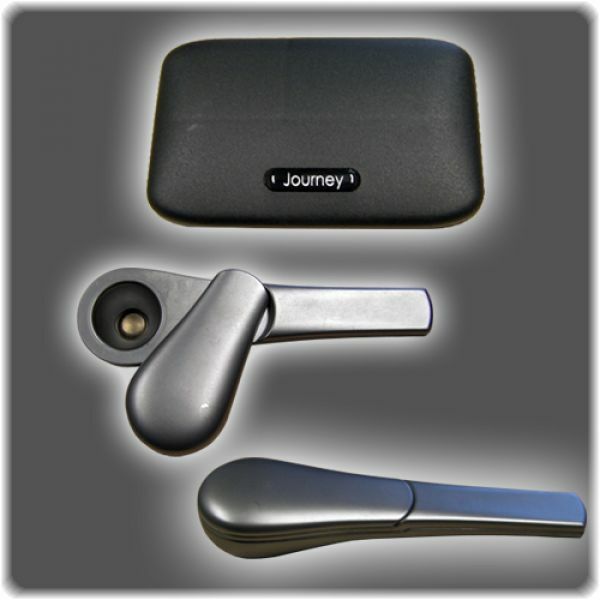 It is in the design that the Journey Pipe scores over other pipes, the surface is durable and non-toxic, it just requires a wipe over quickly with a tissue or antibacterial wipe, the result being no tar in the pipe means no bacteria build up. We supply it with a pocket box which holds the pipe as well as a lighter if you wish, all you need in the pocket friendly box. It will not break and will last a lifetime, is a pleasure to smoke, stunning to look at and functional too. The choice is yours in either silver or black.